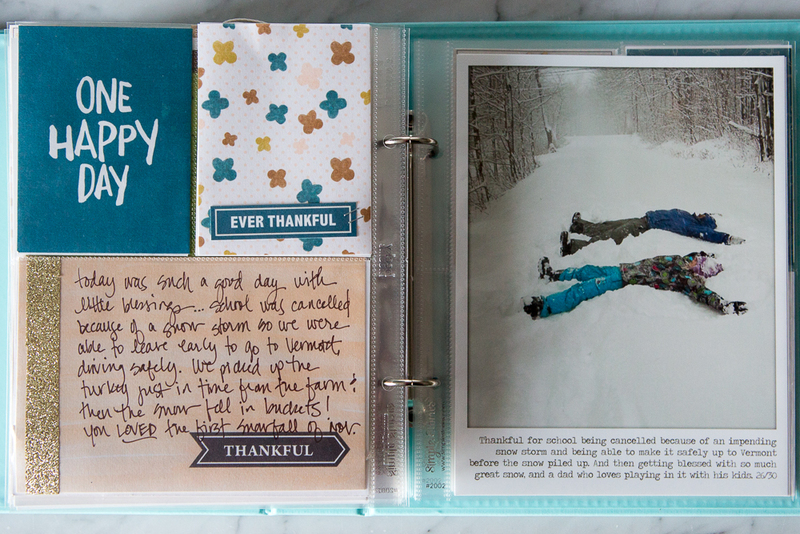 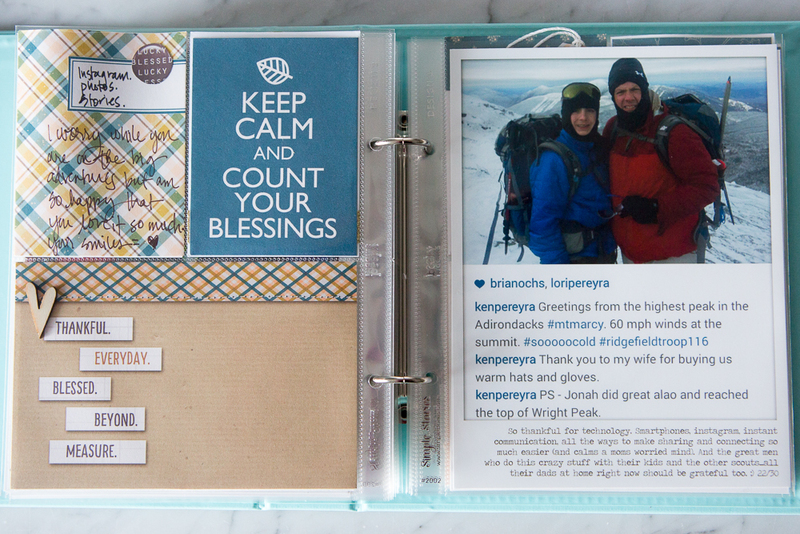 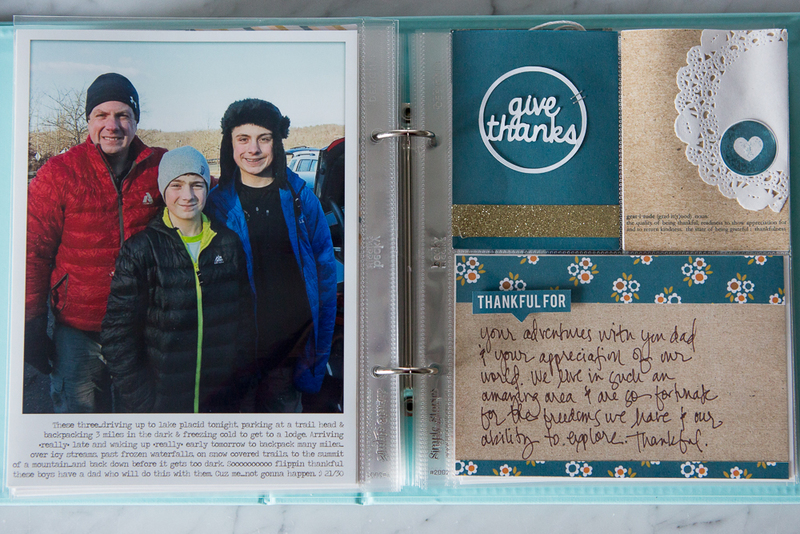 I have to say how much I love Gratitude albums. 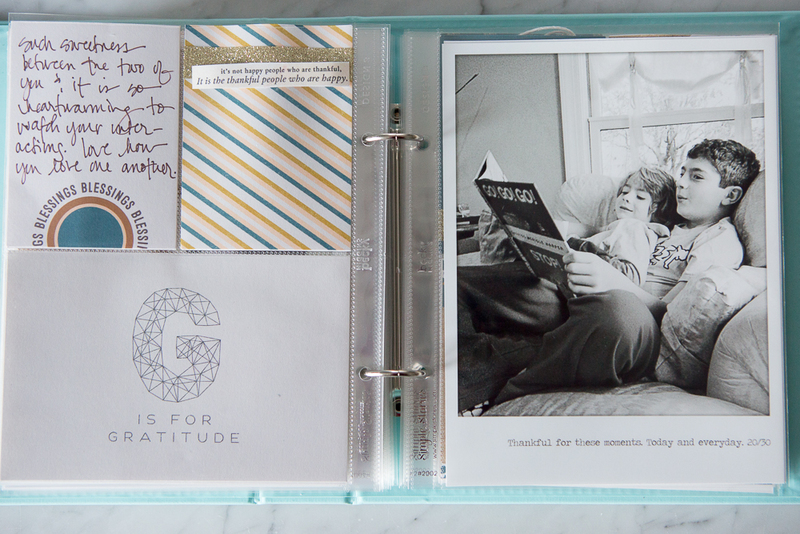 I especially love the part where you take the time to reflect on the things you are grateful for in life. 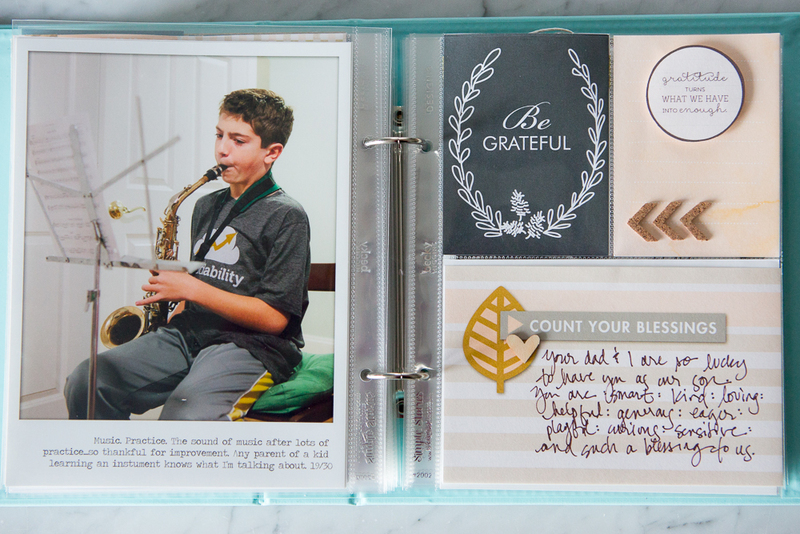 So when I saw this album by Lori (lcpereyra) it was so inspirational to see things that she is grateful for. 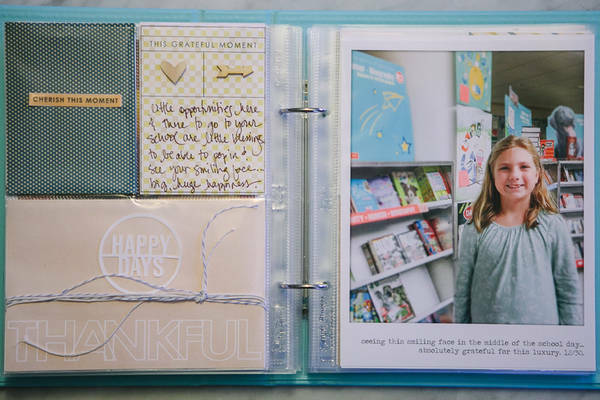 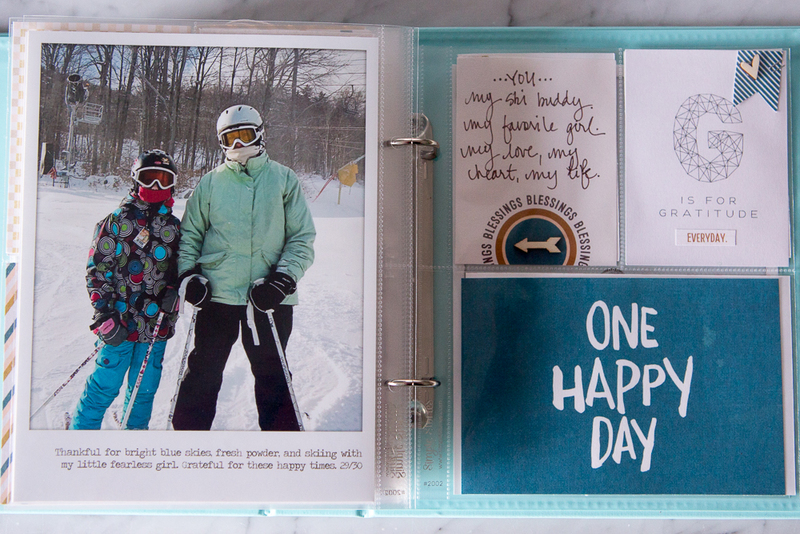 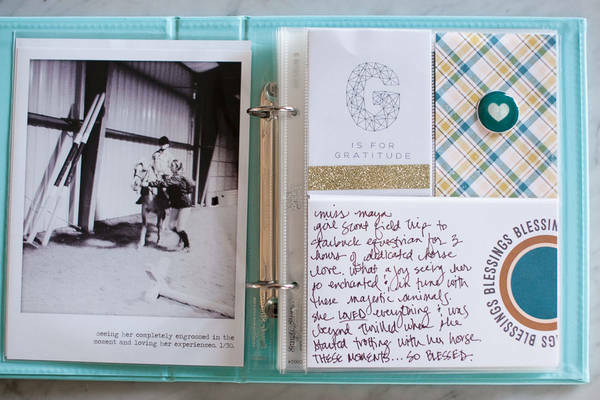 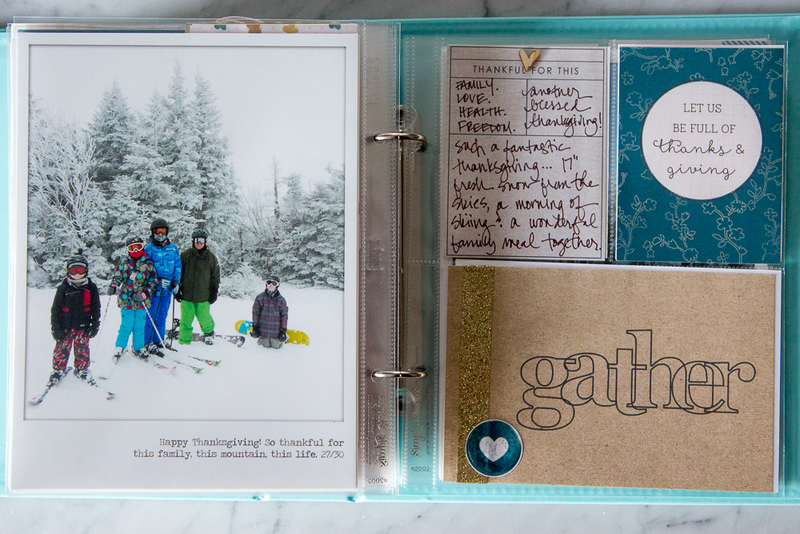 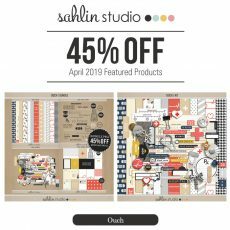 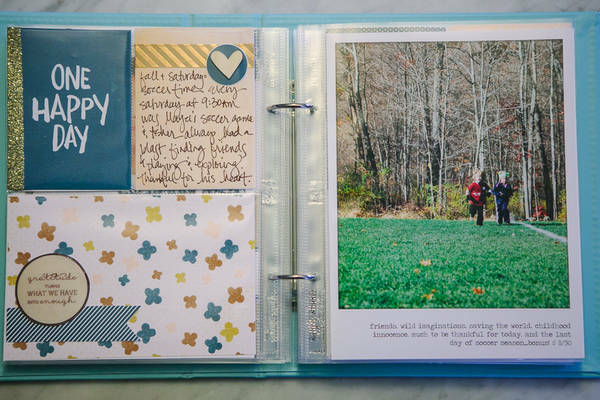 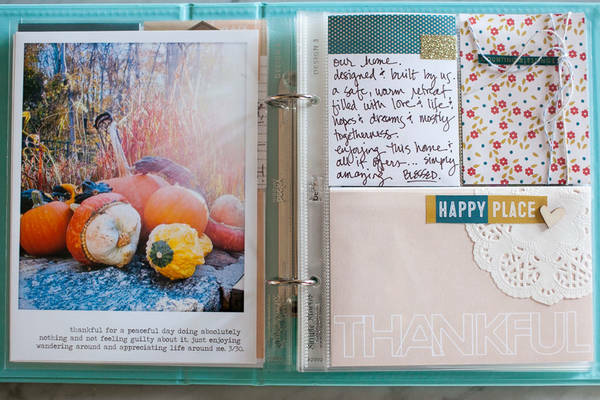 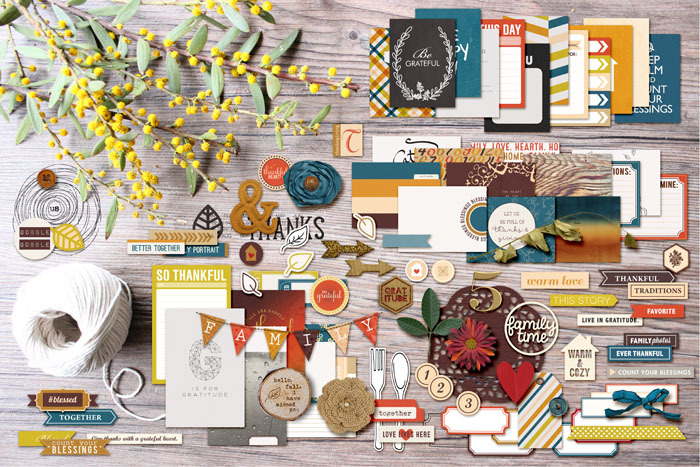 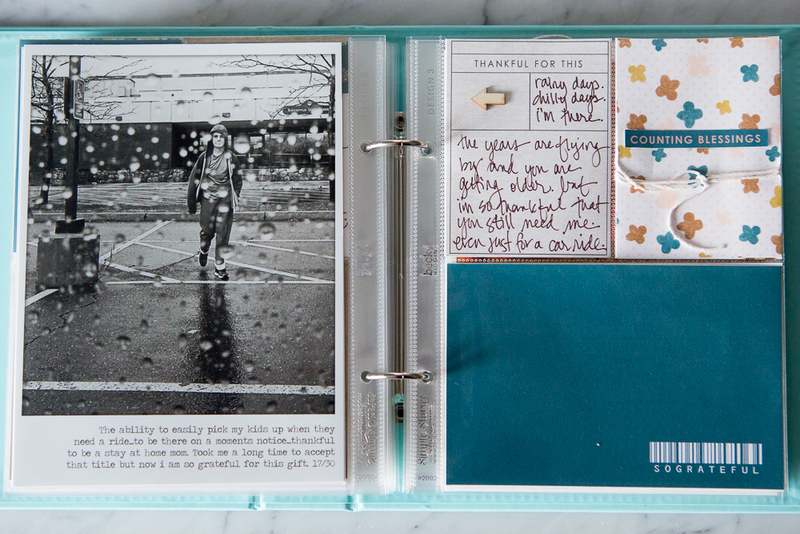 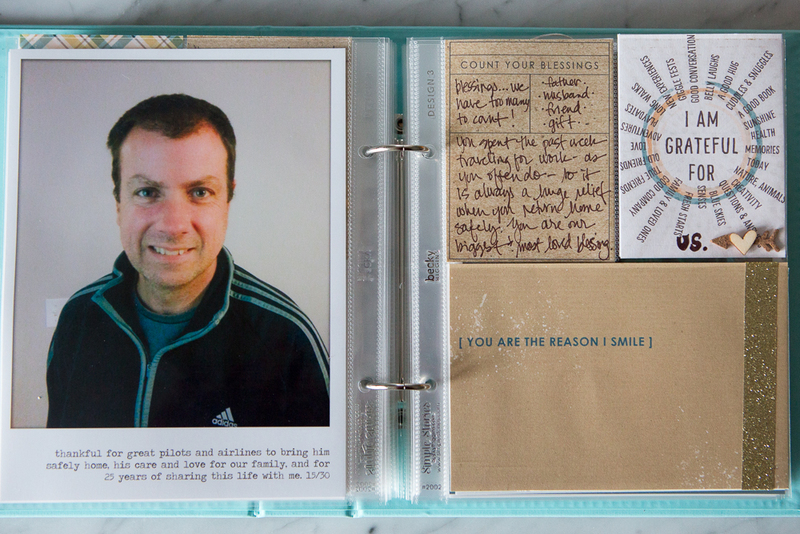 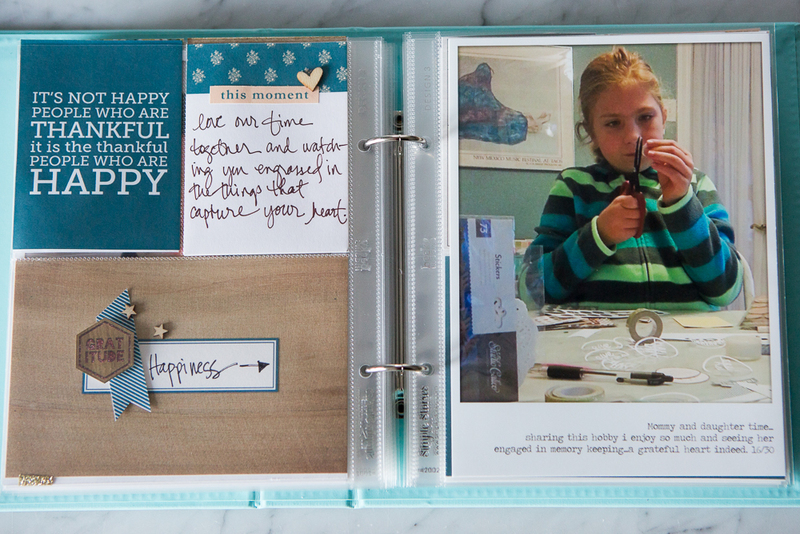 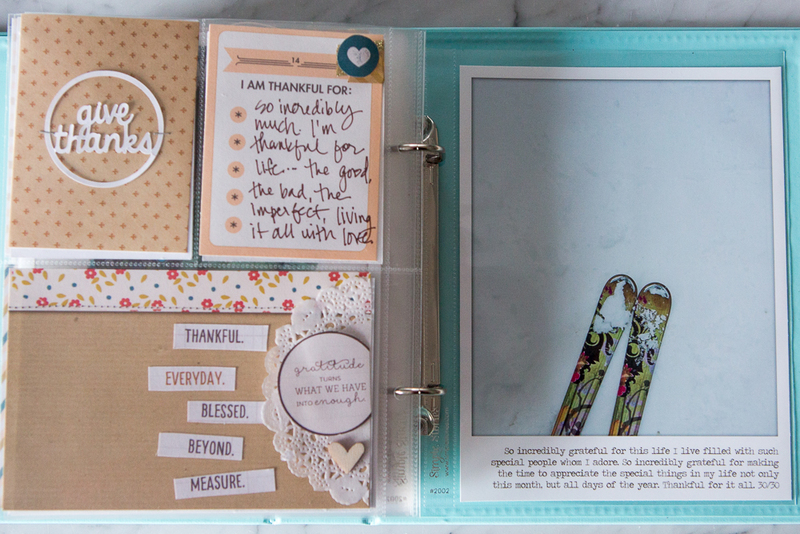 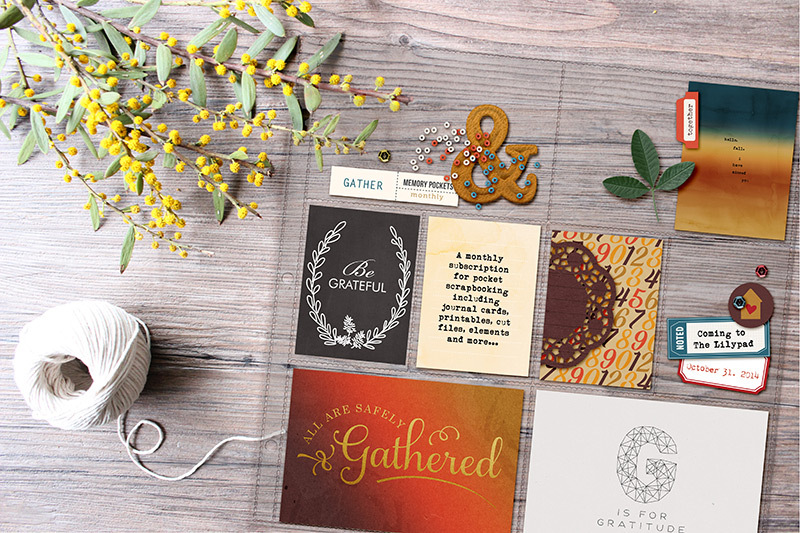 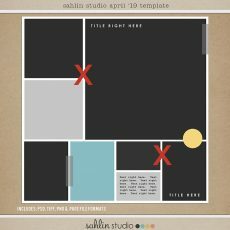 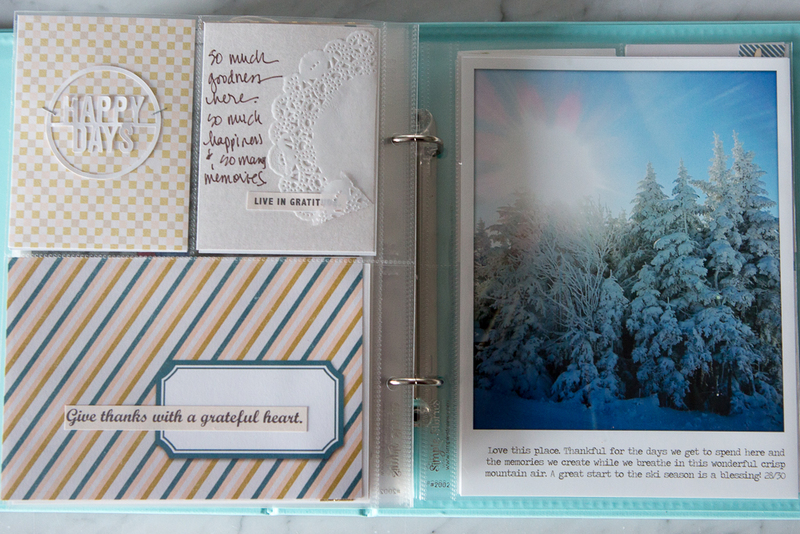 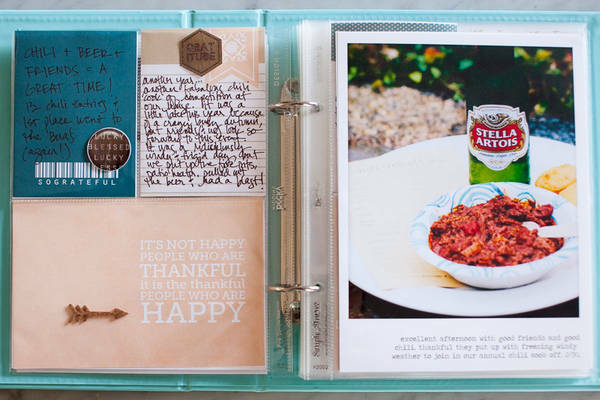 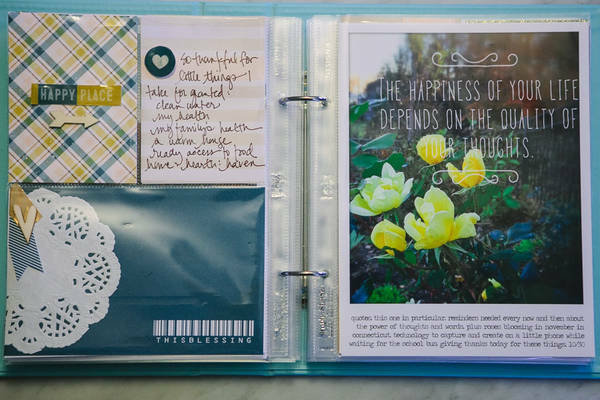 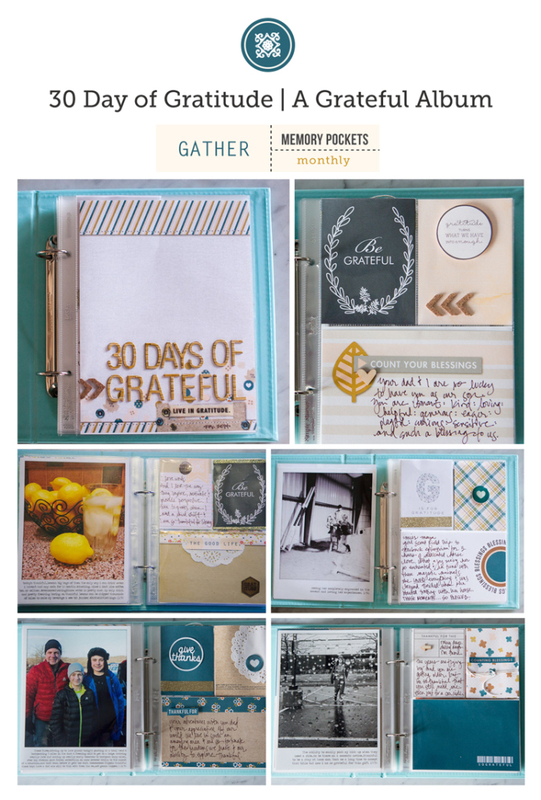 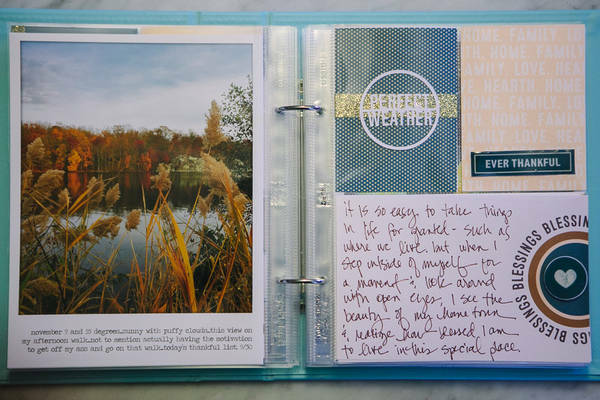 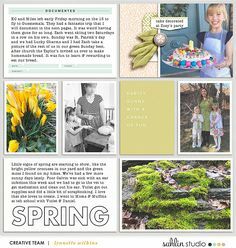 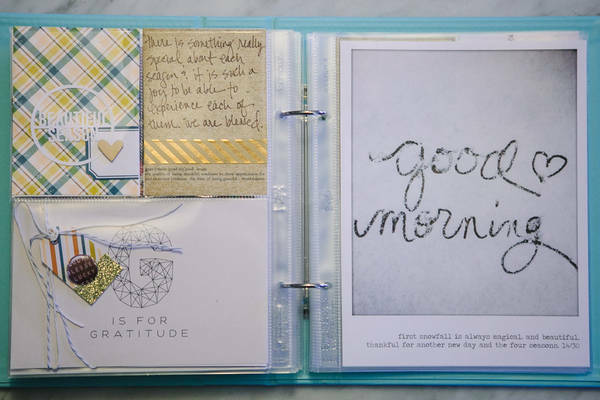 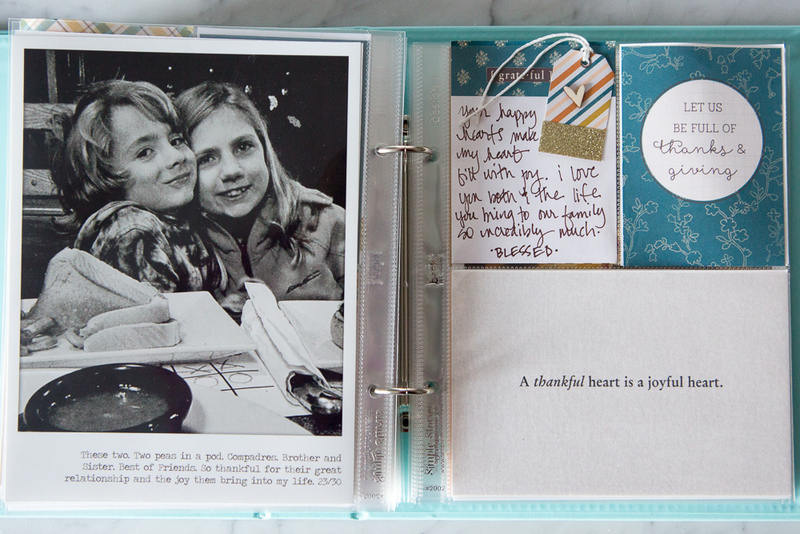 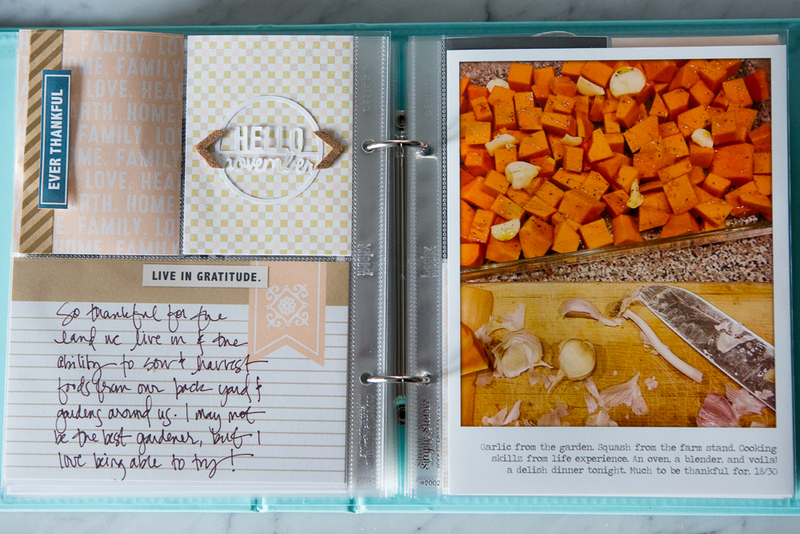 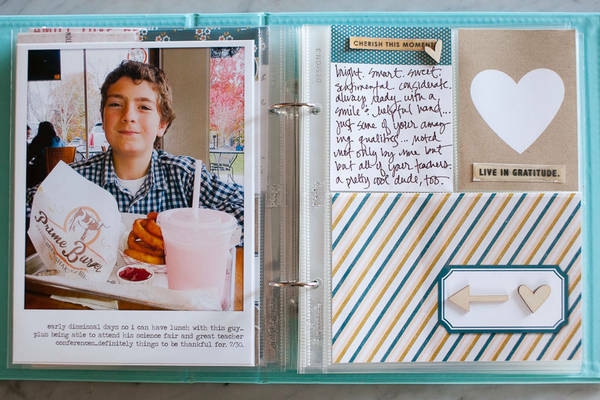 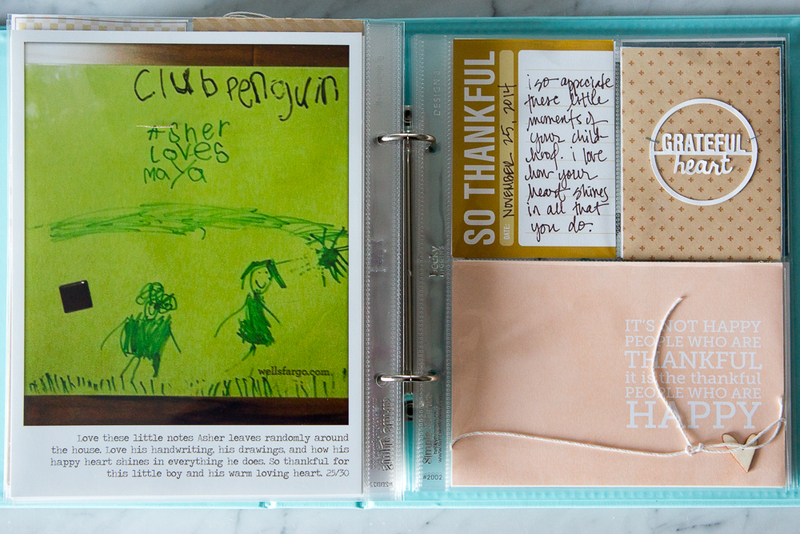 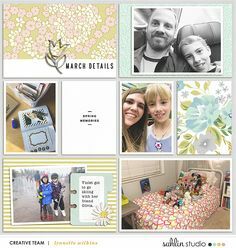 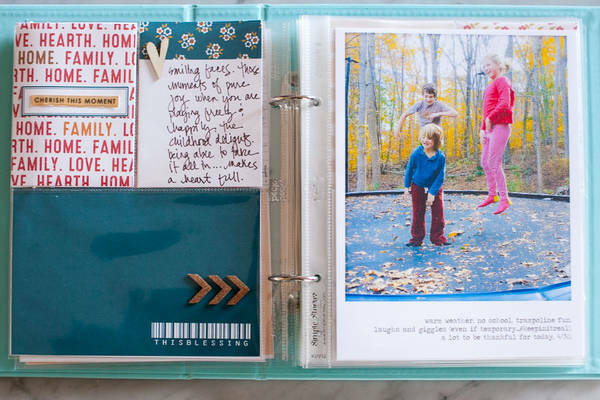 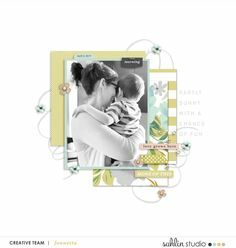 This project and the color palette of the Memory Pocket Monthly (MPM): GATHER collection was perfect for this project! 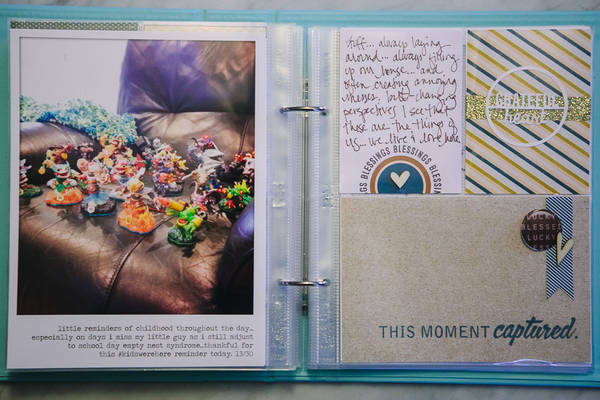 Lori: Every year in November, I take a photo a day and post to instagram for my #30daysofgrateful and this year I am making a real, hands on, yes you can touch it and see it and read it, album out of them. 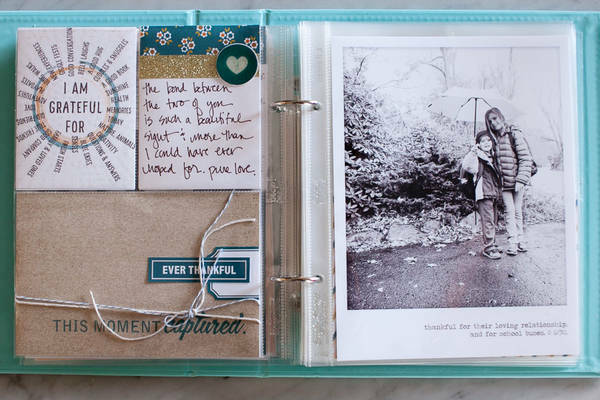 This is such a beautiful album! 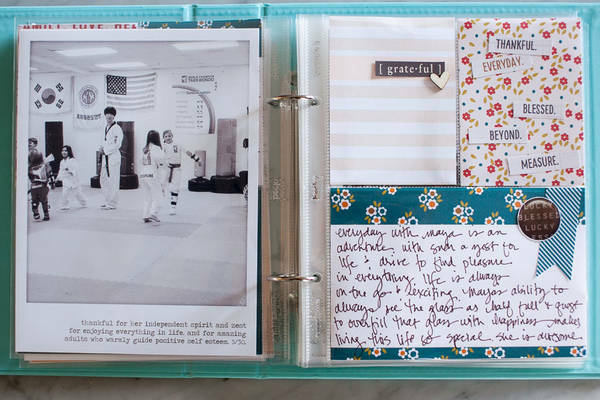 What an inspiration. 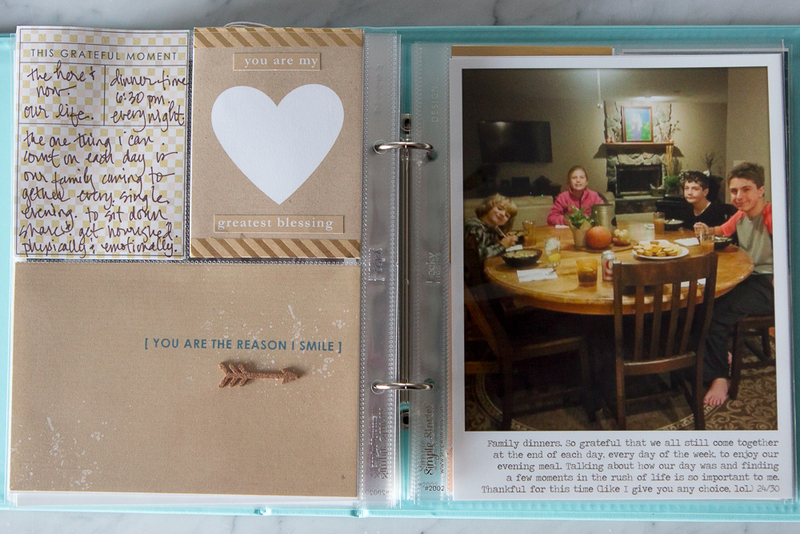 I love how beautifully you capture everyday moments on camera. 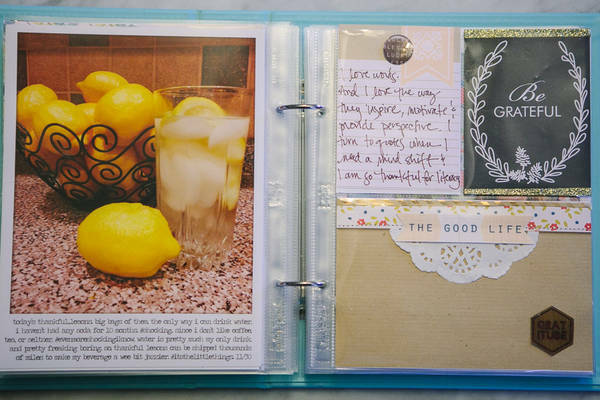 True talent!